I think the paining size doesn’t work and the colours also feel a little off with the rest of the room. The rug could work but I think something lighter and with a pattern would look nicer. I’d also get a side table for the chair if you plan on keeping it. 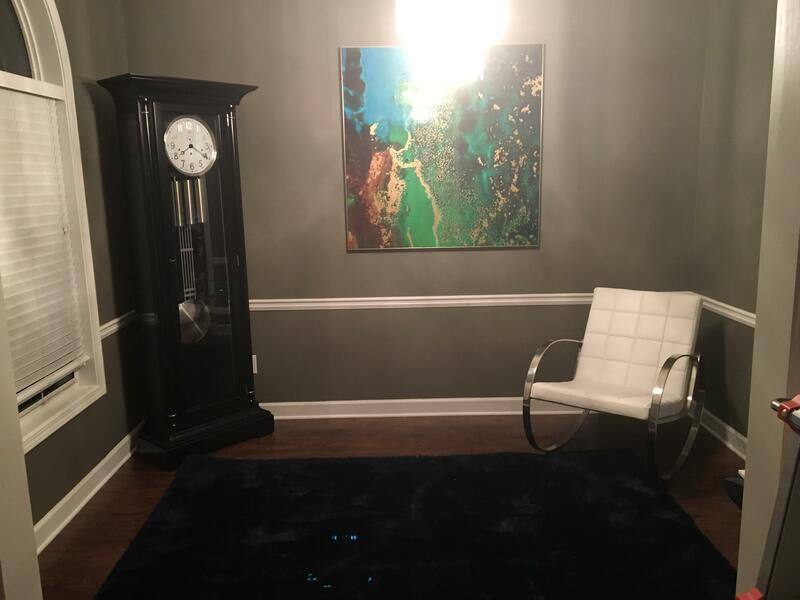 With a couch on the left side, I’d move the clock to the corner on the right next to the wall opening or put it in another room as it is quite big and it’s such a small room. Previous Previous post: Unusual window covering needed!